Responsive design makes it easy for remote employees, vendors, or external users to sign documents from anywhere, at any time, no matter what device they’re using. 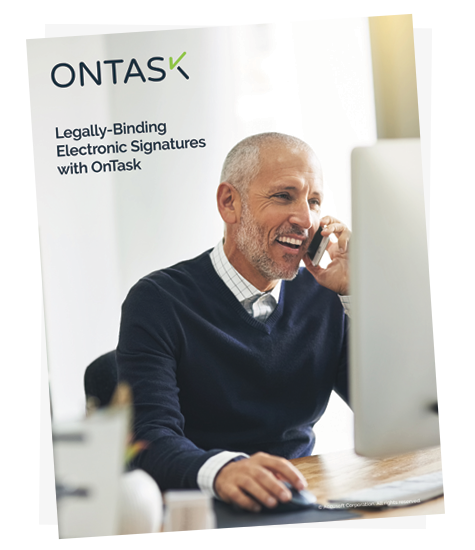 Digital signatures obtained through OnTask are compliant with the ESIGN Act and include a certificate, so you never have to worry about the legality of your signatures. No more wondering where the document is for signature—check the status anytime through the OnTask dashboard. Execute contracts confidently, knowing that you’re signing the most updated version. 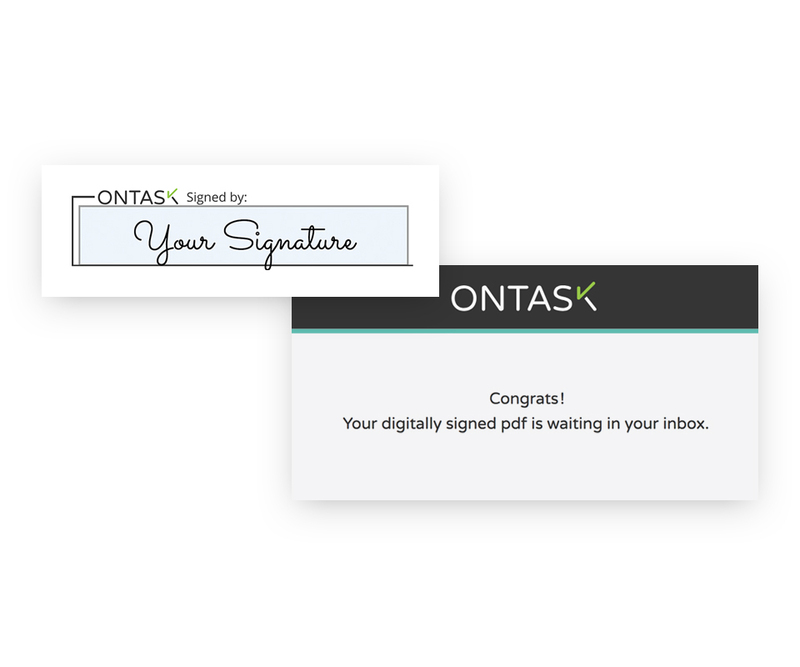 How the passing of ESIGN Act has changed the role of digital signatures.